The first book in the Nina series. Tis the season to lose my mind. You wouldn’t believe all I have going on. It all started with me helping out some former classmates, Jenny and Benny Christmas, by landscaping their new business, Christmastowne, an indoor Christmas village. Strange things are happening there. Toy donations are missing. Santa’s tipsy. Mrs. Claus, Fairlane McCorkle, is lecherous. Fire alarms are going off. And that’s just at Christmastowne. On the home front, someone is putting large Christmas decorations on my mother’s lawn—sending her into fits. She’s more crystal than tinsel, if you know what I mean. And, my sister Maria is acting strange. Oh, and my ex Kevin’s been hanging around a lot (how's that to test my sanity? ), especially when Mrs. Claus is found dead under Christmastowne’s Christmas tree. I have got to figure out who killed her, if only to keep Kevin away. Because for some reason, he’s looking mighty appealing when he’s standing under the mistletoe. Or maybe I should just go into hiding until New Year’s. How do you stay sane during the holidays? 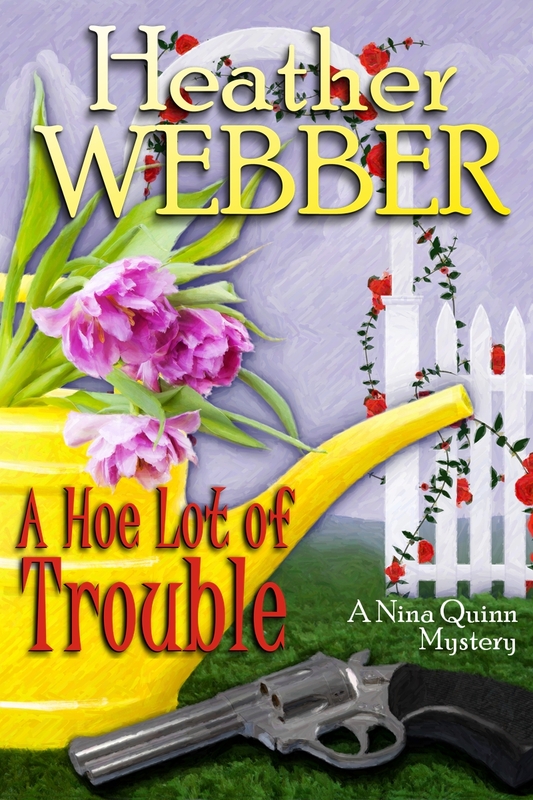 Trouble Under the Tree, A Nina Quinn Mystery will be available as an e-book December 1st. It all sounds a bit dangerous--especially Kevin . Very dangerous, Janet. Especially to my sanity. Now I'm doubly happy I got a Color Nook for my birthday. I'm so excited for this, Heather. What a great Christmas present for all your readers. And the first Heather Blake will be out soon! You rock. Tarri, that Nook is definitely going to come in handy! Thanks, Lucie! And five releases? WOW! Congrats! Sanity during the holidays is highly over-rated. Lucky for all of us, your problems will make a lot of fun reading! 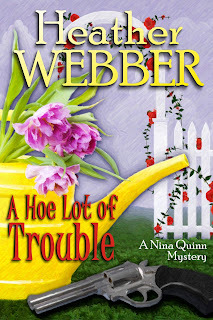 Yay, another Nina Quinn story. What a hilarious group of characters. I can't wait to find out whodunnit. I find that copious amounts of chocolate help me maintain my sanity during the holidays. And an occasional eggnog - extra strength. Dru, it's been a long time coming, eh? Hi Cindy--have you read a sneak peek? I've already hit the egg nog. Hard.